Holy Hail! On June 19, 2018, storms rolling through Colorado created golf ball and baseball sized hail that fell in the greater Denver area. Most of us were left with dents, dings, and damage--and Brighton Ford was no exception. 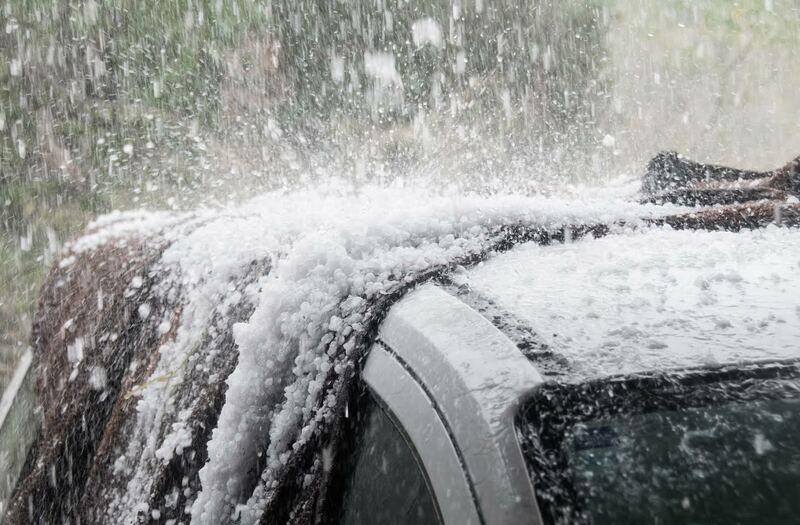 Nearly 90% of new and pre-owned vehicle inventory was affected by this storm. What does that mean? OPPORTUNITY! Sometimes, when hail knocks, opportunity follows--and this is your opportunity to snag a major deal on our new and pre-owned Ford inventory. But Isn't Your Inventory Damaged? Yes, but we will FIX the damage after you buy, which means you'll have a pristine car and deep discounts you wouldn't otherwise see. It's a win-win! You can choose to have us fix your vehicle or keep the insurance money and have it fixed yourself! We're in the process of adjusting our prices and inventory as we work to assess the total damage of the Colorado Hail Storm of 2018. In the meantime, if you see something you like, reach out! We can help you lock in the best Hail Sale deal today, before everyone catches on to this incredible inventory of deals. Don't let this opportunity pass you by! Get deeply discounted pricing on our already rock bottom prices at The Great Hail Sale. New and pre-owned trucks, cars, and SUVs are, for a limited time, discounted even further!